This brightly colored school printable is free to print and use by school staff, teachers or parents. 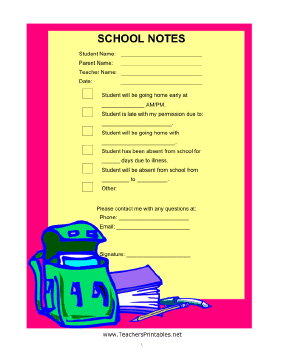 It has options that can be checked off, such as notification that the student will be absent, late, or leaving school early. Sections are provided for explanations.